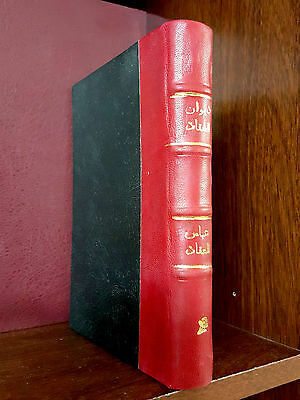 Seller: easternbazaarstore (171) 100%, Location: Medina, 41451, Ships to: Worldwide, Item: 264242452006 Normal 0 false false false EN-US X-NONE AR-SA ISLAMIC ARABIC ANTIQE BOOK. 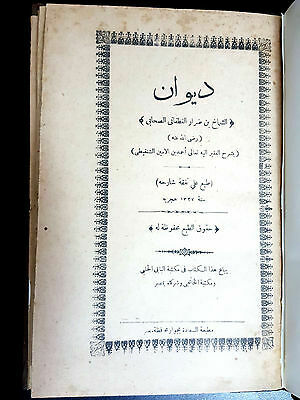 MUKTASAER AL-TAZKIRAH Printed in 1885. 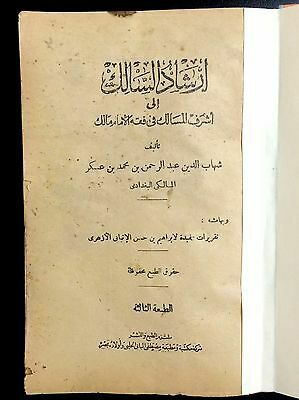 كتاب BY IMAM AL-SHARANI كتاب مختصر تذكرة القرطبي للإمام عبدالوهاب الشعراني طبع في القاهرة عام 1302هـ / 1885م المطبعة العامرة الشرفية printed in 1302HE / 1885AD in Cairo Completed Book What you see is an antique book titled (MUKTASAER AL-TAZKIRAH). 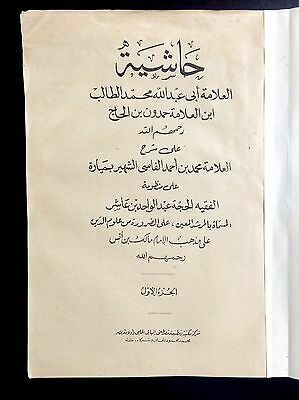 The author of this book is imam (AL-SHARANI). 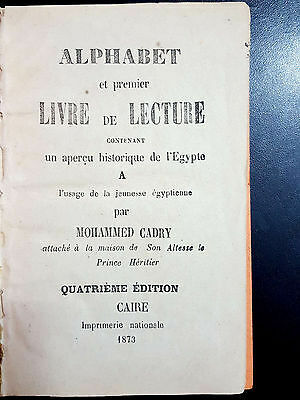 It printed in (1885 AD). 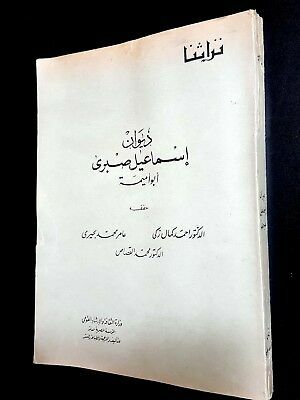 The book is 166 pages. 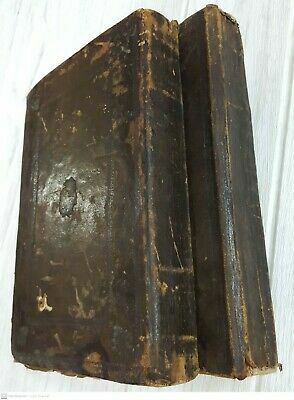 It measures 27.0 cm x 19.7 cm. 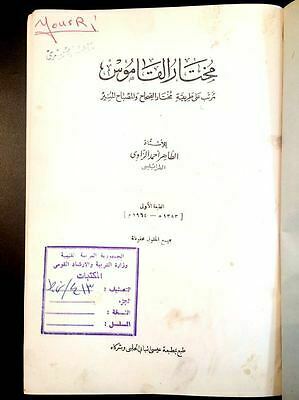 Attention: There are some holes in the book as a result of the very old age can be seen in the pictures. You get what you see in the scans. Please inspect the pictures, they are part of the description. 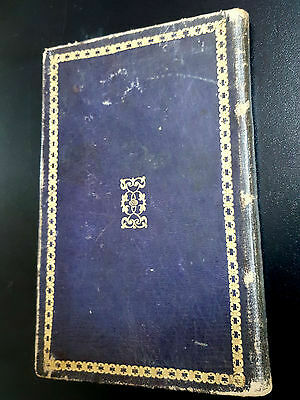 Please Read Very Well Before Bidding: I am ready to answer any question, and try to describe to my best; and to show many necessary pictures of items I list. PayPal is the preferred method of payment. Contact us if you will pay by other means. We only list Authentic & Genuine items; and we describe in details the item’s condition. And we show high-resolution scans and pictures. We also pack & tighten very well our deliveries; so no damage can happen during postage. We post items within 2 business days after clear payment. Our mail leaves Saudi Arabia in 2 days to the destination. For known and sometimes unknown reasons, the mail is delayed at the destination. This delay may be due to “Slow” delivery process or for “Security Investigation”. So, we are not responsible for that delay. We only post via Registered Mail, and our transporter is Saudi Post Company. Estimated Delivery Times: Europe & United States: 2-3 weeks. Canada & Latin America: 2-3 weeks. Far East & Australia: 2-3 weeks. Africa & Middle East: 1-3 weeks. We do not deliver mail to Palestine & Israel. 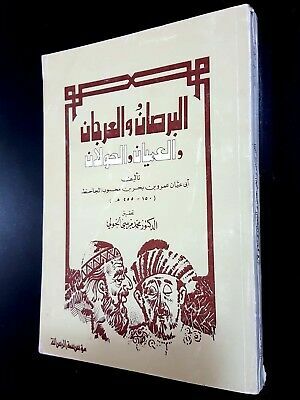 Shipping & Handling cost of this book is $16 and this includes the followings: Bubble-Envelop (1-4$). Card board for tightening (1$). Nylon sheet for protection. Registration fee (2$). Signed Receipt fee (2$). Postage fee (according to weight & destination). We Combine Shipping: You pay shipping cost for only ONE ITEM (the heaviest one), and the others are posted for no shipping charges in the same envelop or box. You may pay a little extra fee if the weight become out-of-range. Payment must be received within 5 days of auction closure. For other method of payment, please contact me as there is a collection fee deducted by your or my bank. This must be added to the final due. GUARANTEE: The buyer has right to return the item if it is not as described. Feedbacks: I always deliver positive feedbacks to buyers upon payment. I also try my best to treat my clients as very valued customers. And, I expect the same treatment & feedbacks from them. Please do not hesitate to ask me for any help. Good communication will make the transaction smoother for all involved. I wish you all the best of luck. Popularity - 34 views, 1.0 views per day, 35 days on eBay. High amount of views. 0 sold, 1 available. 34 views, 1.0 views per day, 35 days on eBay. High amount of views. 0 sold, 1 available. Seller - 171+ items sold. 0% negative feedback. Great seller with very good positive feedback and over 50 ratings. 171+ items sold. 0% negative feedback. Great seller with very good positive feedback and over 50 ratings. 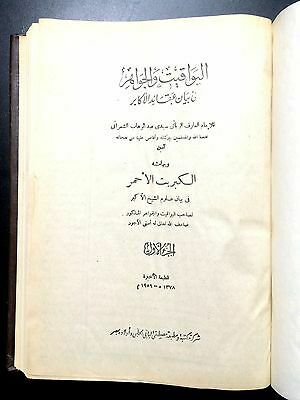 ISLAMIC ARABIC ANTIQE BOOK. 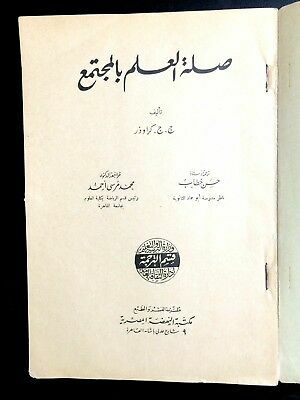 HANAFI FIQH (MAGMA AL-ANHUR) P 1875 in Istanbul. 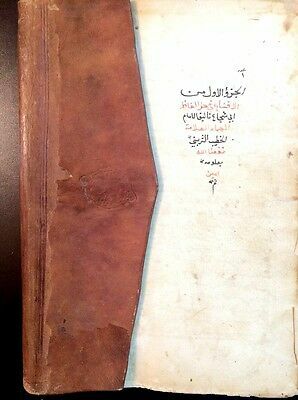 Arabic Antique Book. 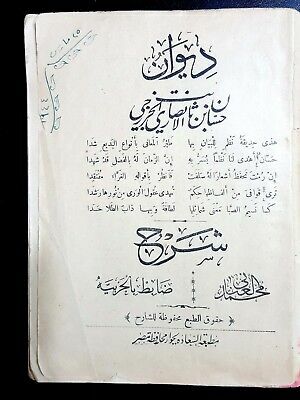 Arabic Poem Of Ismaeel Sabri.